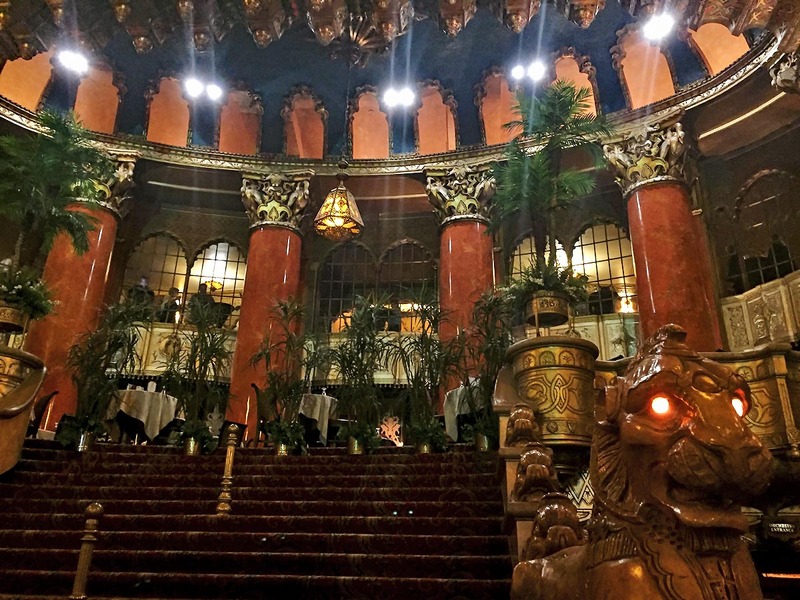 The Fabulous Fox theater, located here in Saint Louis, is an ornate, if somewhat ponderous masterpiece. It is one of five palaces that movie pioneer William Fox built in the late 1920s. It is an architectural twin to the one built in Detroit. Its interior is decorated in a heavy, baroque, faux Siamese-Byzantine style that is fashioned after mosques of ancient India. Its appearance is awe-inspiring and is the perfect venue for the Andrew Lloyd Webber musical “Love Never Dies”. This show is the sequel to Webber’s most successful musical, “The Phantom of the Opera”. It is set ten years after “Phantom” and relocated from beneath the streets of Paris to Coney Island. Most of the original play’s surviving characters are present: the Phantom, Christine, Raoul, Madame and Meg Giry. A new addition is Gustave, Christine’s son. Christine, Raoul and Gustave arrive in America, supposedly so that Christine can sing for Roger Hammerstein, but are soon lured out to Coney Island, where a chorus of supporting actors supply a bawdy carnival atmosphere that lends a sinister vibe to the proceedings. “Love Never Dies” has been almost universally panned since its inception in the West End. A fact that multiple rewrites has not reversed, not in New York and not on the road. The sets and costumes are both sumptuous, matching the décor at the Fox and while Webber may argue that love never dies, his music certainly has. There are no catchy numbers such at the title tune in “Phantom” or its “The Music of the Night”. The audience isn’t even offered a reprise on any of these hits. It is a sequel after all. What is left is an ornate, ponderous score that plods on to the end and lands in an interminable death scene. May it rest in peace. This entry was posted in Photography, Saint Louis, Theater by RegenAxe. Bookmark the permalink. Thank you for making the sacrifice so we don’t have to!